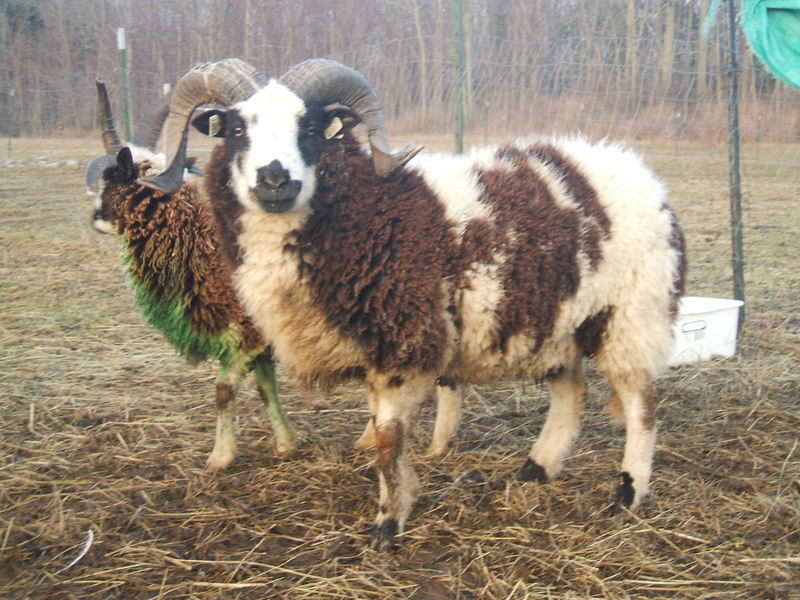 In late 2005, some Jacob breeder friends (Steve and Trish Barrows at Amazing Grace Farm) offered me a couple of bred ewes. 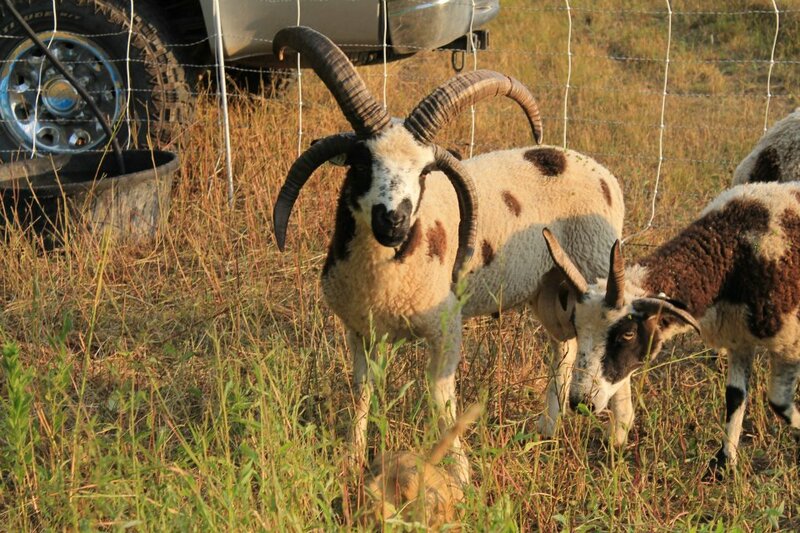 They said that they were down sizing and mainly sold meat animals as it was hard to sell breeding stock in the area, but felt that these two ewes deserved to be in a flock producing breeding stock offspring. These two ewes were Fibre Folds Chortle and Fibre Folds Desiree, and when they came to me they were bred to Barking Rock Cooper. 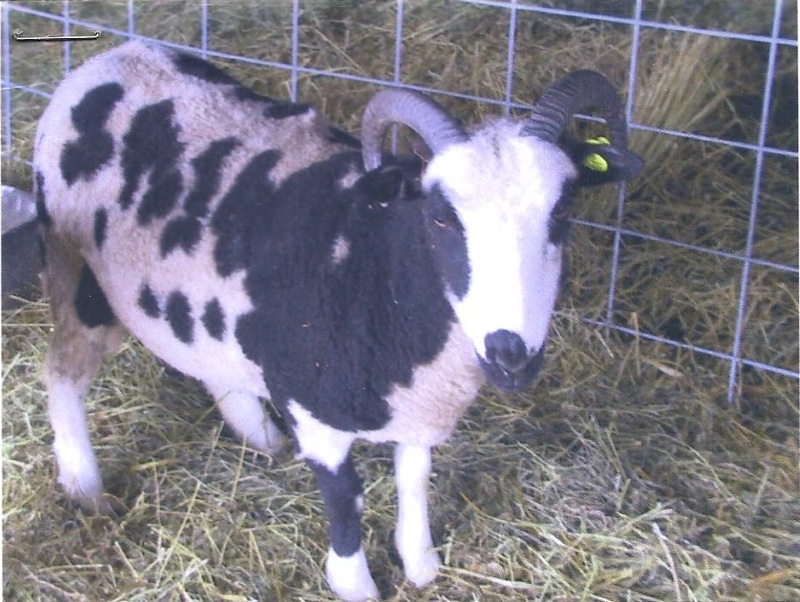 Chortle lambed the following spring with a single ram lamb – Andy – who went on to be a flocksire for a local Jacob breeder. 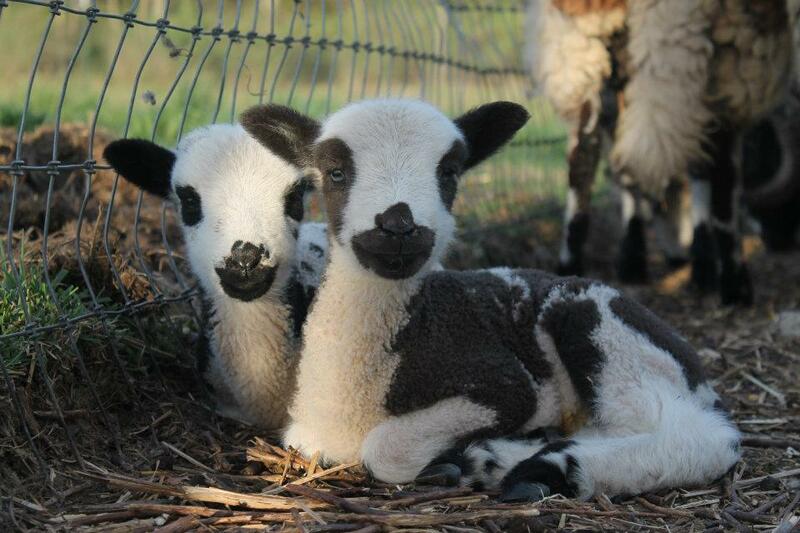 Like most of Chortle’s lambs, Andy has her almost smirking face markings. Amazing Grace Andy, Chortle’s first son here. 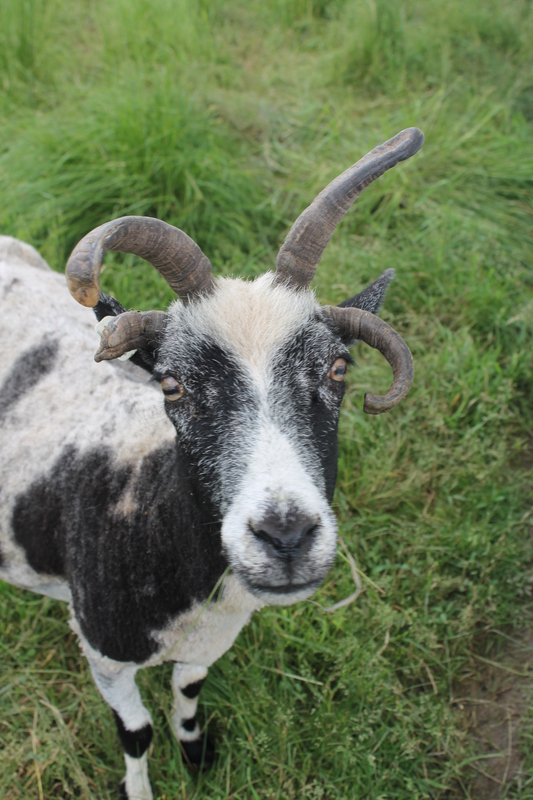 Chortle has produced many beautiful lambs for us, including one lilac ewe, Eibhlin (pronounced Ev-lin). She has quite a few descendants in the flock including two daughters, one granddaughter and three great grand daughters. Chortle has offspring in several other flocks as well. 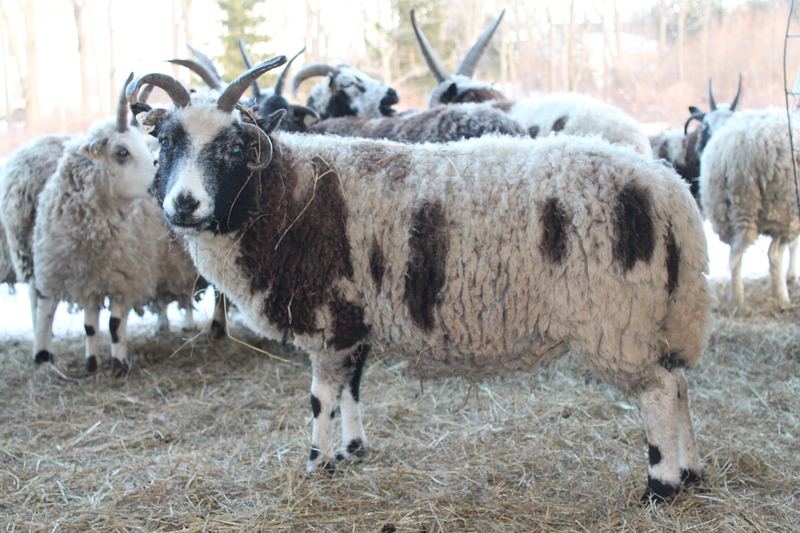 Chortle will be 13 this spring and is still going strong – she had twins this spring and appears to be bred for 2014 lambs. Luna is the next one my list. 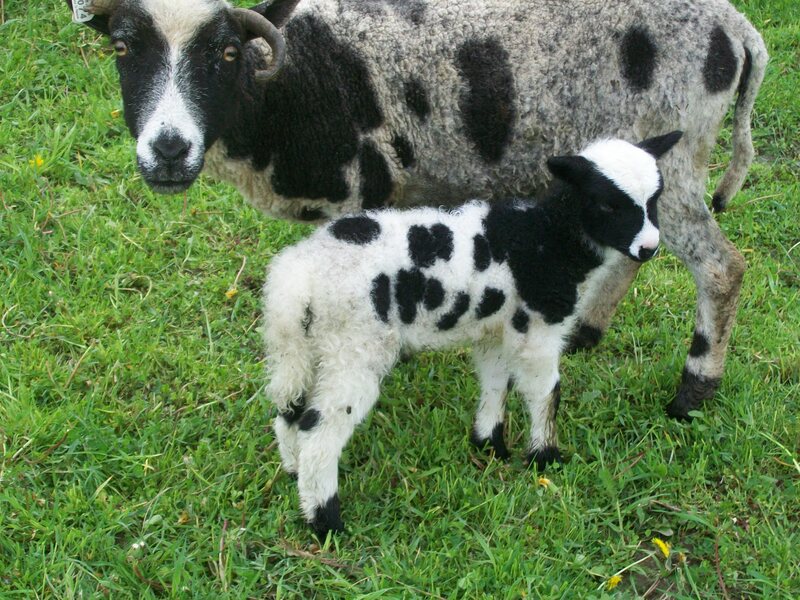 Luna was given to me as a gift along with a ram lamb named Patrick by Nedra Darnell of Fibre Folds farm. 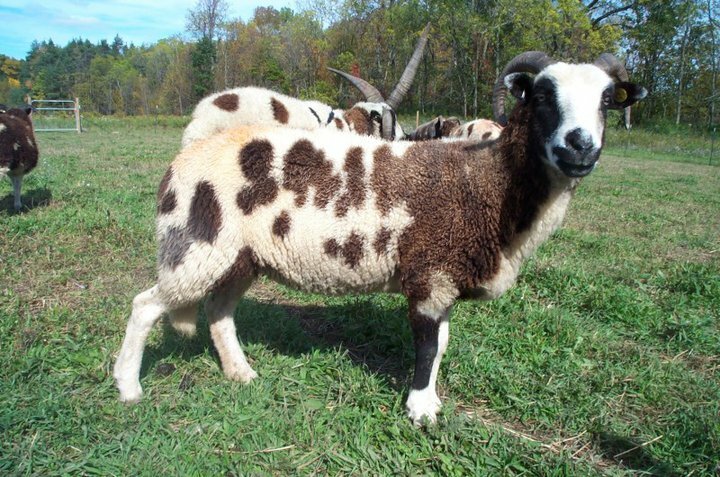 I’m not sure if Nedra still raises Jacobs or not, but I am forever grateful to her for helping me start my Jacob flock. Luna was added along with Patrick to my breeding program shortly after I lost Athena’s sister, Victoria (that’s another story). 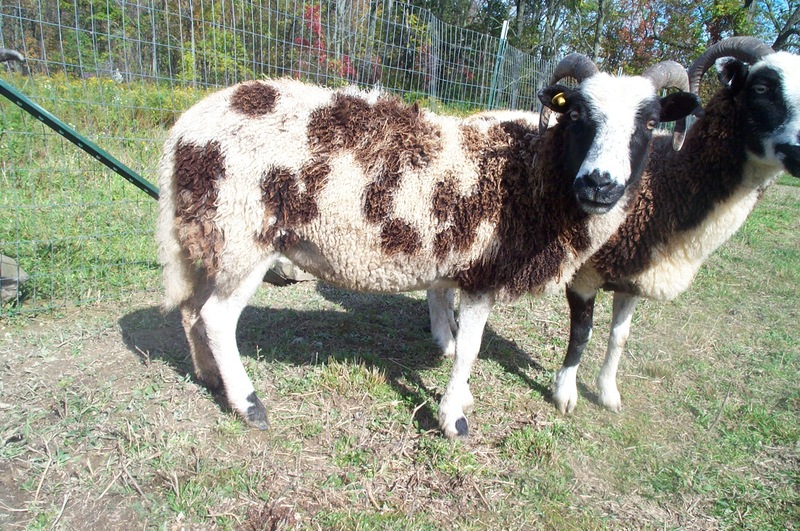 I had been looking for another ewe and a ram to add to my flock, and found Nedra – we emailed back and forth for several weeks until I eventually decided on two lambs, a 6 horns ewe lamb named Eanna (Luna) and a ram lamb, Eslan (Patrick). 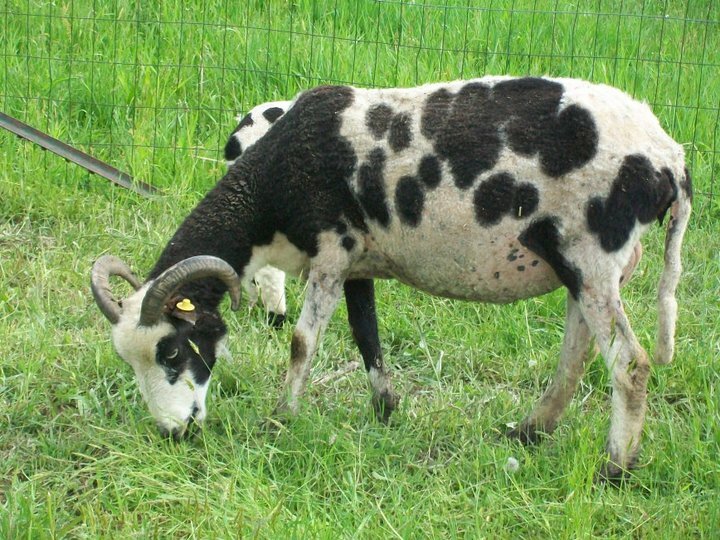 Nedra was so pleased with all of the publicity I was getting Jacob sheep that decided to give the two lambs to me to help me grow my flock. Nedra delivered my lambs, as well as some lambs for Steve and Trish Barrows (another Jacob breeder in the area) a few weeks later. Luna got her name because the way her horns were shaped reminded me of a Luna moth’s wings. 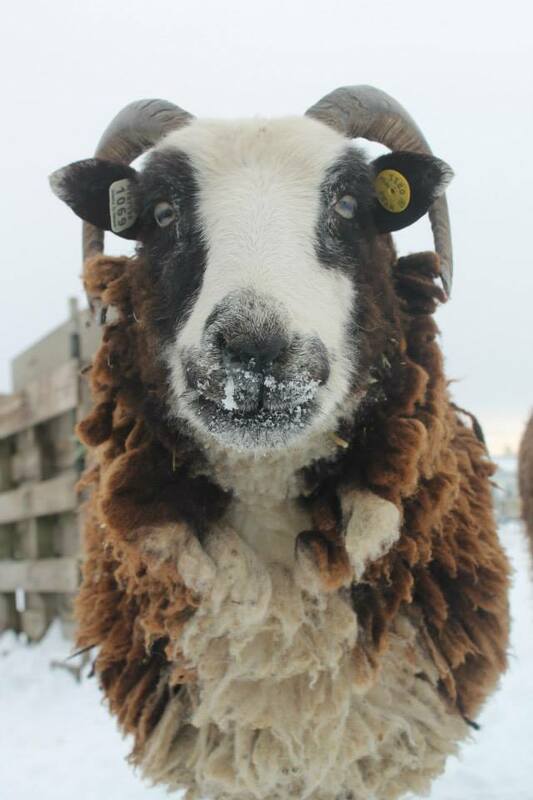 She has always been a very curious and unafraid ewe – she is the first to come stomping up to the dog to investigate or to ask for food. (her big eye patches remind me of saucer-like spectacles, which seems to fit her curiosity). Most of Luna’s lambs have her huge eye patches that almost touch in the middle – just like her. Luna will be 10 this spring – she has been showing gray for awhile now – but she is still in perfect (plump) health and is expecting a lamb(s?) this spring.